See how last years winners have made an impact with their businesses. Build an innovative business that is desirable, feasible and viable. Pitch your best business ideas and get the chance to win $10,000 to make it a reality. DO YOU HAVE A GREAT BUSINESS CONCEPT? Students/Faculty/Alumni, you can create or join a team to compete and win up to $10,000 and a co-working space for your business. 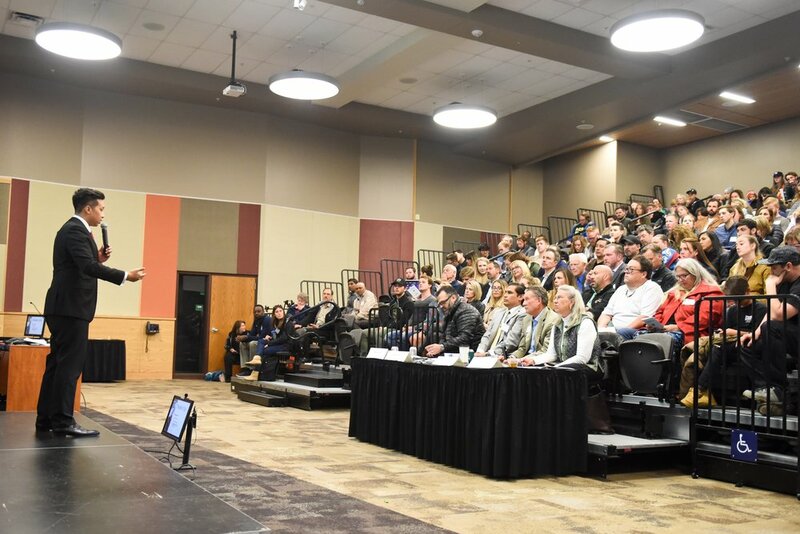 Finalists in the competition receive mentoring and have access to the Innovation Challenge team and resources throughout the spring 2019 semester allowing them to evolve their businesses and prepare for a final competitive pitch in April. Sound like something you might be interested in? Whether you run a business already, have thought of an idea in the past that you'd like to develop, or are starting from scratch with just an idea, come and participate! Join us for the Innovation Challenge Finals on April 12th at 7pm. Watch the top 10 finalists pitch their businesses and compete to win. Join us for the Innovation Challenge Finals on Friday, April 12th at 7pm. Watch the top 10 finalist teams compete to win up to $17,000. Come see these amazing businesses pitch their ideas and be a part of their process to grow. Audience particpants also play a key role in voting for the winners as a part of the criteria for winning! RSVP at your earliest convenience. What is the Innovation Center? Why should I care?